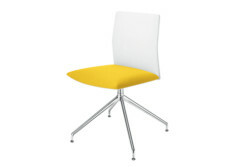 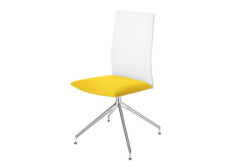 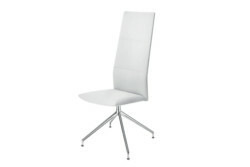 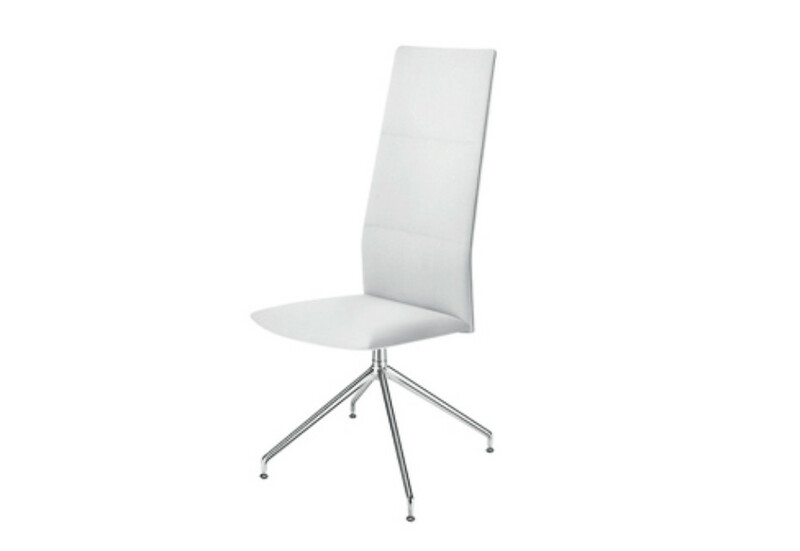 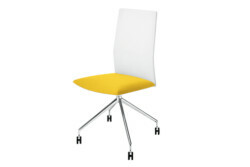 Executive chair with trestle swivel base in aluminum and glides. 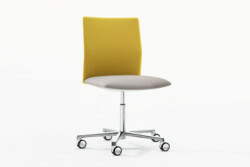 Shell with high backrest. 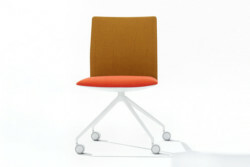 Seat with built-in self-tensioning weight response mechanism, backrest with 3-position recline. 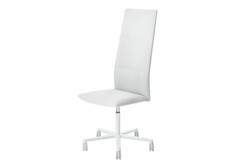 The shell is entirely upholstered in leather, customer's leather, faux leather, fabric or customer's fabric. 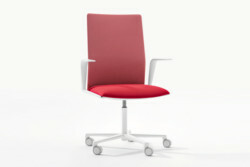 Armrests, in the same color as the underseat cover (black or white), are available upon request and with a surcharge.